Home pregnancy test kits have made it possible for women to check whether they have conceived or not, right at the comfort of their very own homes. For couples who are trying to conceive, waiting for the day when a woman can take her pregnancy test is very much awaited. Home pregnancy test kits detect the hormone human chorionic gonadotropin (HCG) which becomes present in the body of a woman as soon as she becomes pregnant. Pregnancy tests detect the presence or absence of this type of hormone such that a positive pregnancy test results mean that there is HCG present in the body. The HCG in a woman’s body increases during the first weeks of pregnancy until it reaches its maximum level. Manufacturers of home pregnancy test kits advice women to take their tests after they have actually missed their period since this can guarantee that a certain amount of HCG is already present in the body. Taking the pregnancy test after a missed period makes the tests more effective and easier to read. There are three common types of pregnancy tests which can be bought over the counter: dipstick test, cassette test, and midstream test. Dipstick tests are dipped in a cup of urine sample; cassette tests require placing a certain amount of urine drops in a specified area in the test; while midstream tests will require you to place the stick during the midstream flow of urine for a few seconds. One example of a midstream pregnancy test is the Ecotest Pregnancy Test Kit. 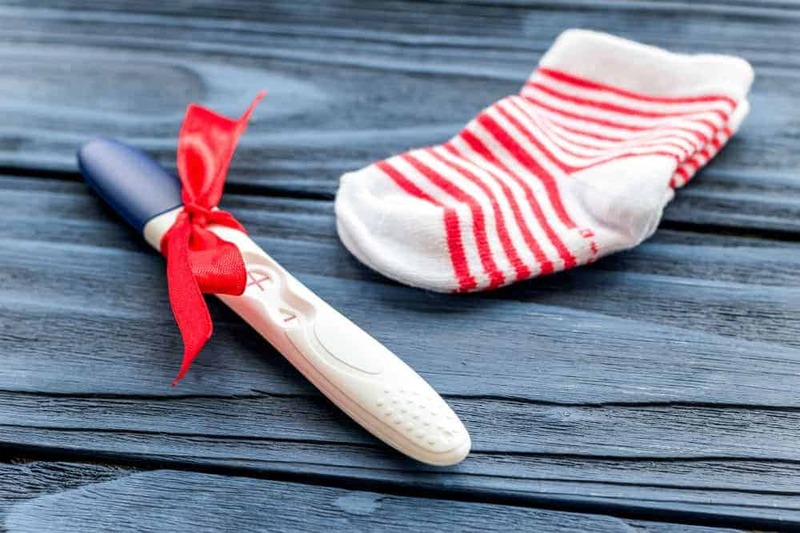 In this article, we will discuss the features of this brand and type of home pregnancy test kit to see if this is for you. The Ecotest Pregnancy Test 20 Sticks Midstream Early Result hCG Urine is a great purchase for women who are trying to conceive and would like to check their results accurately. This home pregnancy test kit boasts of a 99.9% accuracy which is a great advantage for women who would like to be assured of their results after reading the tests. Purchasing this pregnancy test kit can save you time, effort, and money since each pack already contains 20 pregnancy tests. For women who are trying to conceive for months, this can save you the regular trip to the drug store to purchase a pregnancy test every single time. With its 20 mIU/ml HCG, pregnancy can be detected even if there is a very low amount of HCG present in the urine. This test also claims to detect early pregnancy up to four days before an actual missed period. The Ecotest Pregnancy Test 20 Sticks Midstream Early Result hCG Urine is an accurate pregnancy test that you can take in the comfort of your very own home so you will no longer have to visit the doctor every time you would like to check if you are pregnant or not. With its high sensitivity rate of 20mIU, it can detect pregnancy as early as four days before an actual missed period. Furthermore, a box of this kit already contains 20 pregnancy tests so you will no longer have to purchase a test every time you would like to check for a positive pregnancy. The First Response pregnancy test kit is also a midstream type of pregnancy test which claims to detect pregnancy six days before an actual missed period. This test kit also uses lines to indicate a positive or negative pregnancy located in one single window. With its 99% accuracy, this test claims to give women correct results after their tests. The First response pregnancy test kit comes in a box of three. Another midstream pregnancy test is from the Cassanovum brand. Each box contains five pregnancy tests and claims to detect pregnancy as early as six days before a missed period. This pregnancy test has a higher sensitivity level of 10 mIU/ml as compared to the Ecotest pregnancy test so the possibility of detecting the presence of HCG in urine is also higher. The Ecotest Pregnancy Test 20 Sticks Midstream Early Result hCG Urine is a great purchase for women who are actively trying to conceive and would like to have spare tests available. This enables them to check their results as often as possible without the need to buy pregnancy tests every single time. With its high sensitivity rate of 20 mIU/ml, it can detect the presence of HCG in the urine even if there is still a small amount present in the urine. Women can be assured of their test results from the Ecotest pregnancy test because of its 99.9% accuracy. This home pregnancy test kit will leave women assured of their pregnancy test results!